Putting up your Christmas tree should always be joyful and easy. We learned this thanks to TreeClassics and will never go back! The first year of our marriage, Chris and I purchased a live Christmas tree from a local lot. We lugged it home atop my Jetta, scratching the car’s paint and getting sap in every crevice of our one-bedroom apartment. The next year newborn Charlie had just joined our little family, so Chris took care of the tree transportation to our Silver Spring house solo. That tree made my sister wheeze, would not balance in its stand and our cat knocked it down after we had painstakingly decorated it. For our third married Christmas, I again sent Chris out to get a tree from the Boy Scout lot, and he returned home with a big faux tree. While I whined about how much I loved real trees, Chris assembled the fake one branch by branch. There were 75 branches in all, and they were coordinated by size and color. It took about an hour to sort the branches and then put it up, and the needles got everywhere. After the branches were on, I administered yards of lights. 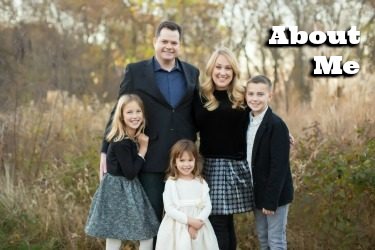 The entire process took longer than going out to buy a live tree, but at least all of the labor happened at home. This two-hour ritual happened annually for eleven years. 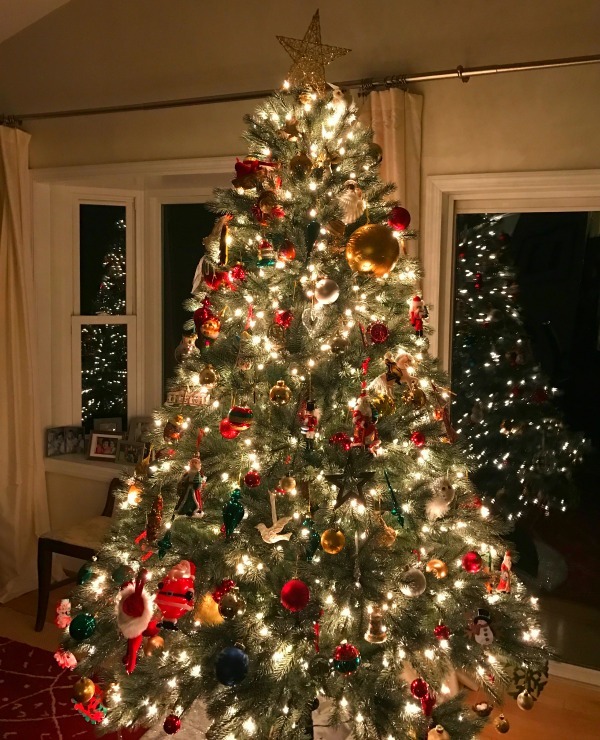 Although we collect ornaments and love how warm and welcoming our home looks with a decorated tree, Chris and I always dreaded the bother of putting it up. The children could not be involved in the process until Mom and Dad emerged sweaty and irritated after our assembly and lighting roles. And then this year, TreeClassics.com contacted me with an offer to review a two-piece, pre-lit, super real-looking and luxe Snap Tree. It came in two big pieces in a box. The bottom section on a rolling stand that rolled into place, already standing straight. The second piece effortlessly snapped onto the other. Then we plugged it in and justlikethat, it was all aglow. It took five minutes, tops. Almost immediately after deciding to trim the tree the children were happily hanging their favorite ornaments remembered from years past. Our Christmas rituals are forever changed! We chose the Tree Classics Colorado Blue Spruce Snap Tree with clear LED lights, which looks and feels so real. TreeClassics tree needles are made with Real Feel Polyethylene technology that is trademarked for its incredibly realistic-looking needles. 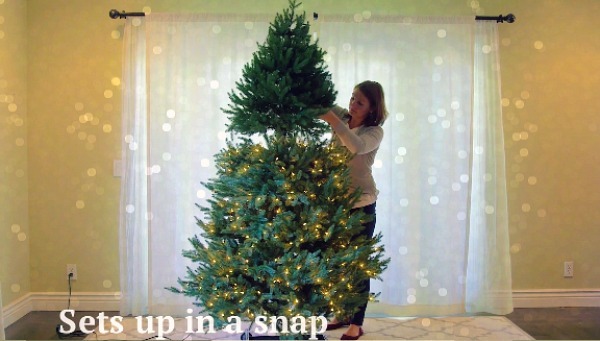 SnapTrees also are easy to stow and store after Christmas; they come with a built-in rolling stand and custom storage bag for storing the tree upright. This gorgeous, sets up in a snap Christmas tree has changed my (Christmas) life. Really. 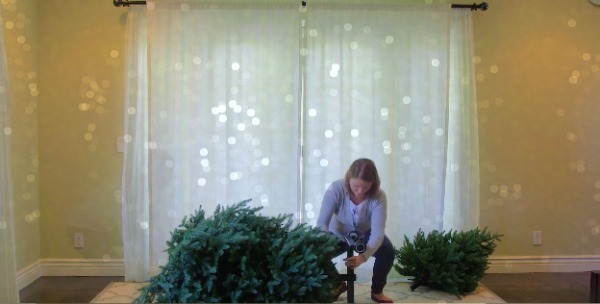 Would you like to see a video of the tree so you can view those you’d-swear-they’re-real branches for yourself? ?Giving you guys a tour of our new @treeclassics #SnapTree! This gorgeous, #youdswearitsreal #ColoradoBlueSpruce tree is 7.5 feet of #prelit splendor & it comes in TWO PIECES! 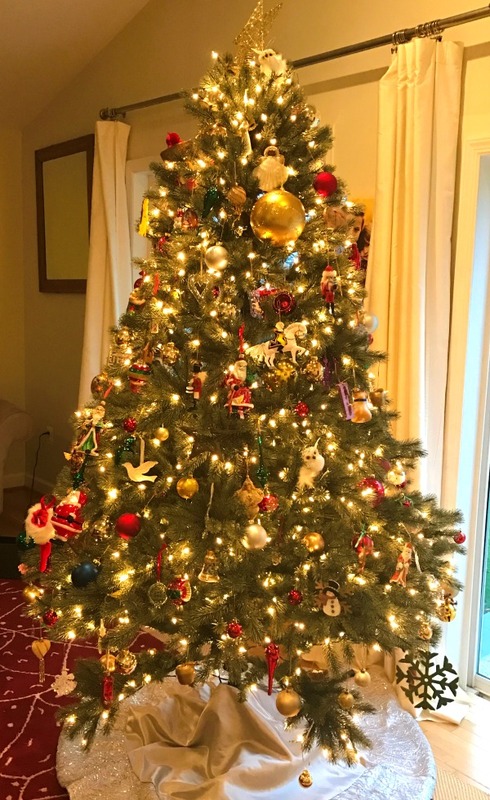 We had our tree up & ready for ornaments in MINUTES after years of assembling trees branch by branch for hours, and then stringing them with lights of which half were burned out. Life changing! 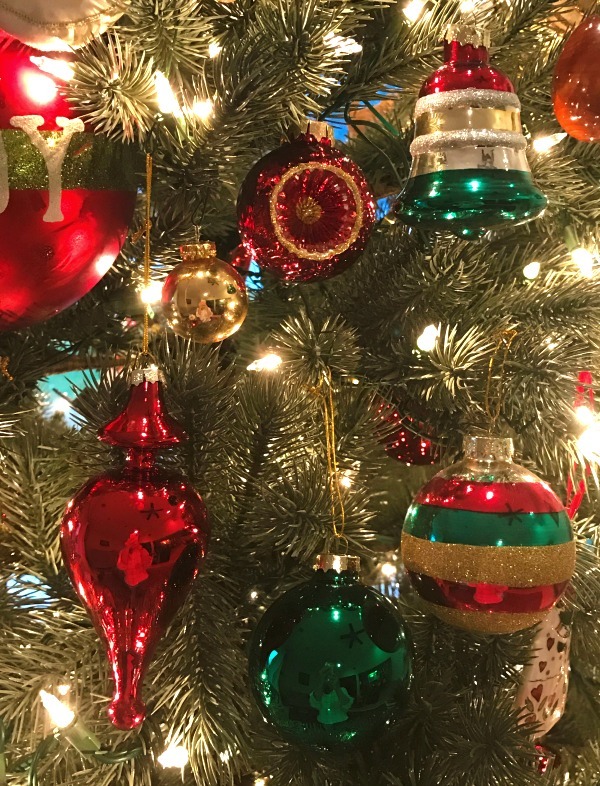 Check out the amazing sales at @TreeClassics on #SnapTrees, tree skirts, hand-blown ornaments & more! 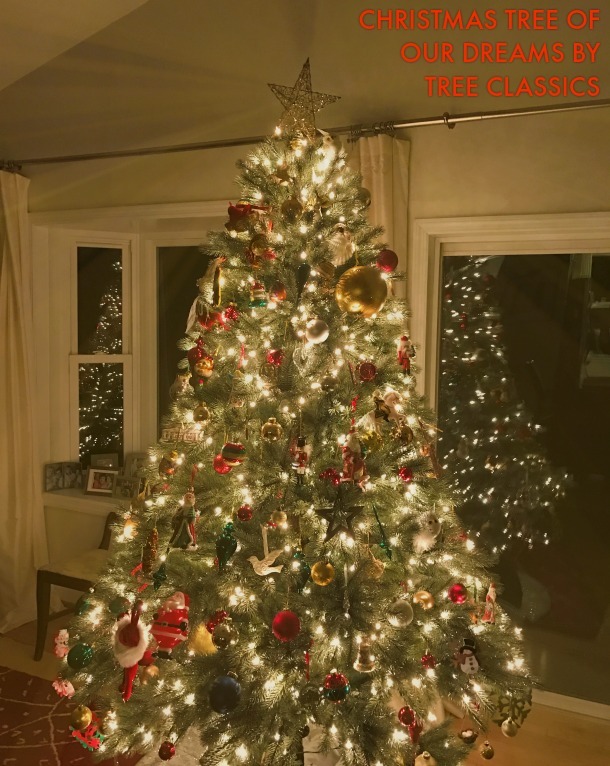 TreeClassics.com #TreeClassics #review ? 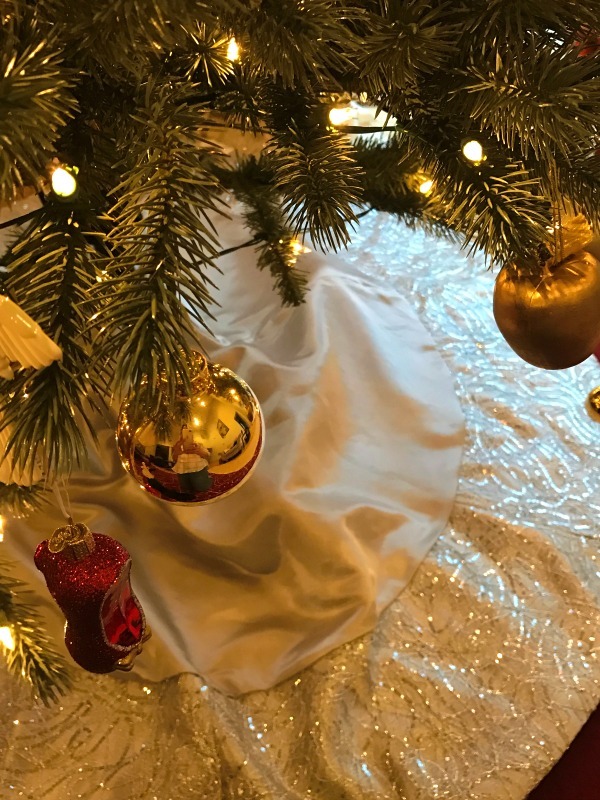 We also received from TreeClassics a fancy new tree skirt, the Satin & Sequin Tree Skirt, which adds beauty and sparkle to our tree decor. And we were delighted by the traditional hand-blown glass Merry & Bright Ornament Collection. But truly the most incredible items on the TreeClassics site are their SnapTrees. So many of them, including the Colorado Blue Spruce that we love, are on sale right now! 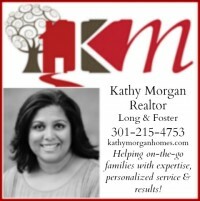 You can choose the height and the width/tree style that works best for your space. You can also choose whether you would like color-changing or clear LED lights. If you order this year during the sale, you can save up t0 50 percent off (plus free shipping) for Christmas 2016. And most importantly, you will save yourself so much time. Join me in the land of Christmas Trees 2.0, where they are immediately assembled and look prettier than a Christmas card. Product received for review. No monetary compensation received.